If you would like to adopt a child, but do not have a lot of money to spend on agency fees, attorneys and international travel, consider a domestic adoption through your state's child protection agency. State agencies typically have the lowest fees and often offer adoption subsidies for persons adopting children with disabilities, older children or sibling groups. According to Adopting.org, the cost of these public agency adoptions as of August 2010 typically ranges from no cost to $2,500, while domestic and international agency adoptions may cost between $4,000 and $30,000. Contact your local health department or government child and families agency. Each state makes its own rules and procedures regarding adoptions. To begin the process, contact the agency to discuss qualifications such as age, health, marital status and income. Learn about the process and your legal rights before you begin the adoption process. Although it is not necessary to retain an attorney to adopt a child, adoption and guardianship proceedings can be complex. To avoid lengthy legal battles and unnecessary costs, get an initial consultation adoption attorney before paying any adoption-related fees. She can explain what fees you can expect and how you should proceed. Have your home study completed. Before a state agency will place a child in your care, you will need to pass a home study, explains the Child Welfare Information Gateway. During your home study, either a private or a state social worker will interview you and your family, tour your home and discuss with you your reasons for wanting to adopt a child. After your home study is complete, the social worker will make a recommendation on whether she believes your family would be a good fit for a child. Complete foster care classes. 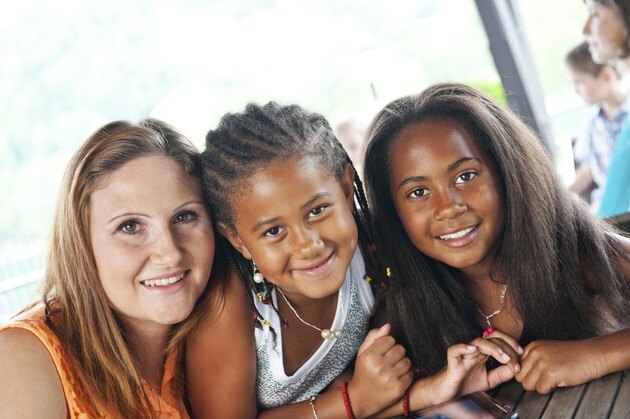 Many states require prospective adoptive families to complete training to become foster parents. These courses address typical problems you may encounter while parenting and discuss state laws and regulations. Generally, prospective adoptive parents do not have to pay for these courses. Apply for the Federal IV-E Adoption Assistance Program. If you are approved to adopt a child with a disability, you may qualify for Federal IV-E funding that will pay for the child's medical care and daily maintenance. Your state may also have a financial incentive program that can further reduce your costs. Child Welfare Information Gateway: Adoption: Where Do I Start?